Carles Puigdemont said on Monday that the final outcome of the political deadlock in Catalonia “is as crucial for the future of the European Union as Brexit.” Speaking at a debate at the University of Copenhagen, the deposed Catalan president accused the EU of holding different countries to a double standard when it comes to the breach of democratic principles. “How is it possible that the EU treats Spain and Poland so differently?” he asked. Puigdemont’s conference came amid high expectation, as it marks the first time he’s travelled outside Belgium since late October, when he left Catalonia after the Spanish government dismissed him for a declaration of independence. The Spanish prosecutor asked the Supreme Court to issue an international arrest warrant for Puigdemont, but it was turned down. At the debate, Puigdemont praised Denmark for recognizing the right to self-determination to its own regions, such as the Faroe Islands. He urged the EU to “follow the Danish example” and recognize Catalonia’s right to self-determination, too. 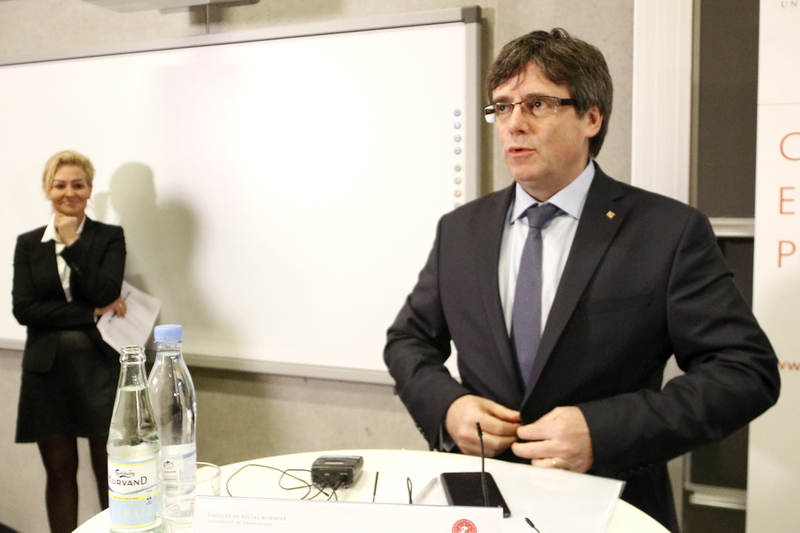 The Catalan leader drew several parallels between Catalonia and Denmark, which he defined as "two small nations that survived all historical vicissitudes.” Puigdemont said that just like Denmark is considered to be the most Southern country of Scandinavia, Catalonia is a Northern country among Mediterranean states.